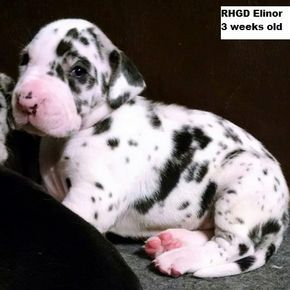 Rhoden's Great Danes has babies available ! Please see below for details. E mail me at trhoden1@windstream.net or you may call us at 870-917- 2079 at reasonable hours. Please no calls past 8 pm. *NOTE at the photo galleries below I have included puppy photos, parent photos and grand parent photos. 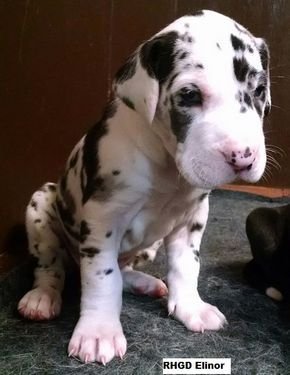 You can also go to the top of the page and click on the parents names and see each dane there. Scroll down to see the babies & the parents. 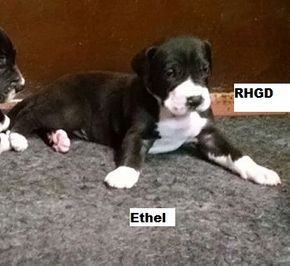 **Litter born March 28th 2019 from Annie and Denali. We have 1 harlequin female & 3 mantle females. Annie is AKC Champion sired, big, beautiful & very sweet. 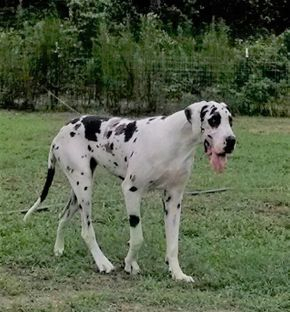 Denali is our import from Serbia, he is a big , gorgeous sweet boy! Super nice pedigrees on this combined litter. We offer full akc or limited registration. Companion prices: for mantle females is $800- $1,000, harlequin female $2000.00 & mantle male is $1,200. Full akc registration starts at $2,500. Please see photos below. This is Elinor, show marked harlequin female. She is available as a show/breed prospect $3,500 or a Companion $2,000. 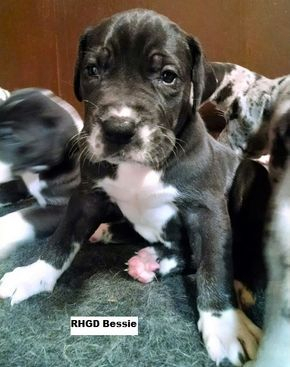 This is Bessie, she is a mantle female with no white collar. 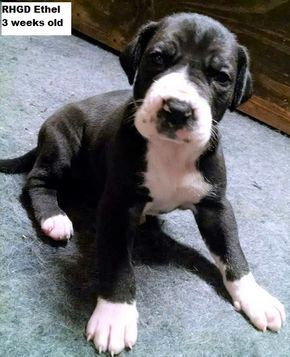 She is available as a Pet for $800 or Breed potential for $2,000. 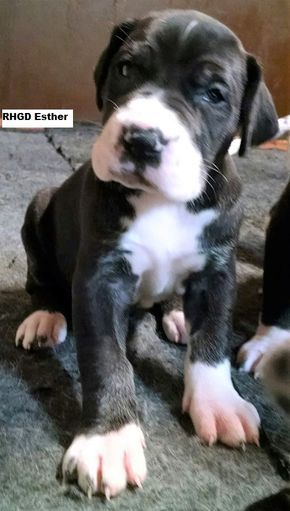 This is Ethel, a show marked mantle female. 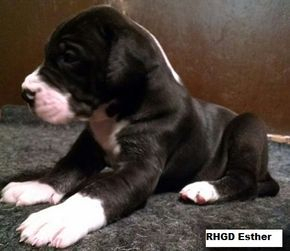 She is available as a Pet for $800 or a Breed/show home for $2,200. Bessie, mantle female, no collar. Esther, show marked mantle female. RHGD Annie is the dam to this litter, she is a big, beautiful & very sweet girl! 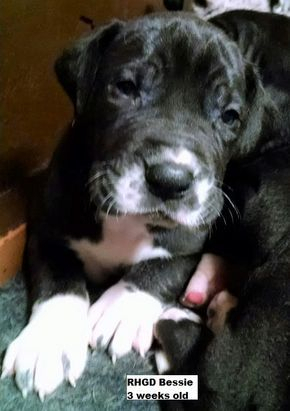 Please see more photos of Annie on her page. 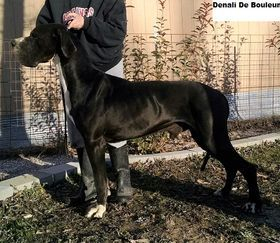 Denali is the sire to this litter, he is our import from Serbia. Please see more info about him on his page.